BOCA RATON, FL — Boca Raton Football Club is proud to announce that Jim Rooney will return to the club for the 2019 Season. 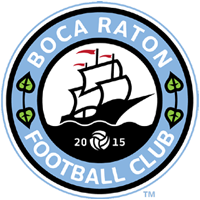 Rooney led Boca Raton FC to a 10-10-2 record across all competitions in 2018, taking Boca Raton FC to their fourth straight APSL Semifinals and growing a young team from scratch to recreate a winning culture within the organization. With only four players over the age of 25, Boca Raton FC was one of the youngest teams in both the NPSL and APSL last season, giving Rooney and his staff much room for growth as these young college stars mesh together in years to come. Coaching younger players is nothing new to Rooney, who was the assistant coach for the US Soccer U-17 Men’s National Team at the IMG Academy in Bradenton, where he coached a number of big-name players, including the 2017 U.S. Soccer Male Player of the Year, Christian Pulisic. As a player, Rooney captained Major League Soccer’s (MLS) Miami Fusion from 1999 to 2001, leading the Fusion to the Supporters Shield crown in 2001 and the US Open Cup Final in 2000. Rooney was an MLS All-Star in 2001 and in total scored 21 times and notched 22 assists in an MLS career that spanned six seasons and playing for the MetroStars, Miami Fusion, and the New England Revolution. Fans wanting to get in on the action early this year can already start purchasing season passes for the 2019 Season, which is available now at www.bocaratonfc.com/seasonpass.